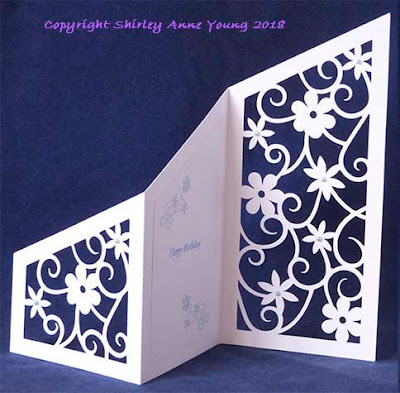 Todays's freebie is a Z fold card. This will be the last one for a couple of weeks as I am going on holiday later this afternoon. Hope you like it. Thanks for the beautiful file, Shirley! Enjoy your holiday! Another great design from you Shirley, so pretty. Thank you. Have an amazing holiday, soak some sun up for me please LOL. Beautiful and versatile design! Thank you and enjoy your holiday. Thank you now go an enjoy your holiday! Always look forward to your freebies.Thank you! Shirley, Thanks so much for sharing your wonderful creations with us! This one is so very beautiful! Hope you have a wonderful vacation! You deserve it! Thank you, another lovely freebie card. Enjoy your holiday. Thank you for the beautiful card! Do you ever design treat boxes or bags? There is a free gift bag on my Blog, just type gift bag in the search box on the left and you should find it but it’s not something I do a lot of. Thank you very much for this beautiful card. Have a nice holiday ! Lovely design! Thank you. :) Enjoy your holiday! This is beautiful!Thank you for sharing it with us. Thank you always seems to be such an inadequate word sometimes. You have helped me so many times I cannot count how many. Merci pour ce nouveau et superbe partage. Profitez bien de vos vacances. Such a cute card and good for every occasion. Thank you for this fabulous file. Enjoy your holiday. Thank you for sharing all this lovely cut-files! Wishing you a happy holiday. Great card Shirley, thank you so much. Many thanks for your sharing your beautiful work! Thanks for the beautiful card file. I hope you enjoyed your holiday!! It's great to get away from the everyday. Just downloaded your 2018 cards. As usual they deserve a great big WOW! Thank you for sharing them. Gorgeous gorgeous card. I spotted this while I was away and couldn't wait to get home and download it. Thank you so much! Absolutely beautiful card. Thank you for your kindness and generosity. Thank you so much for unselfishly sharing your cut files. They are lovely!